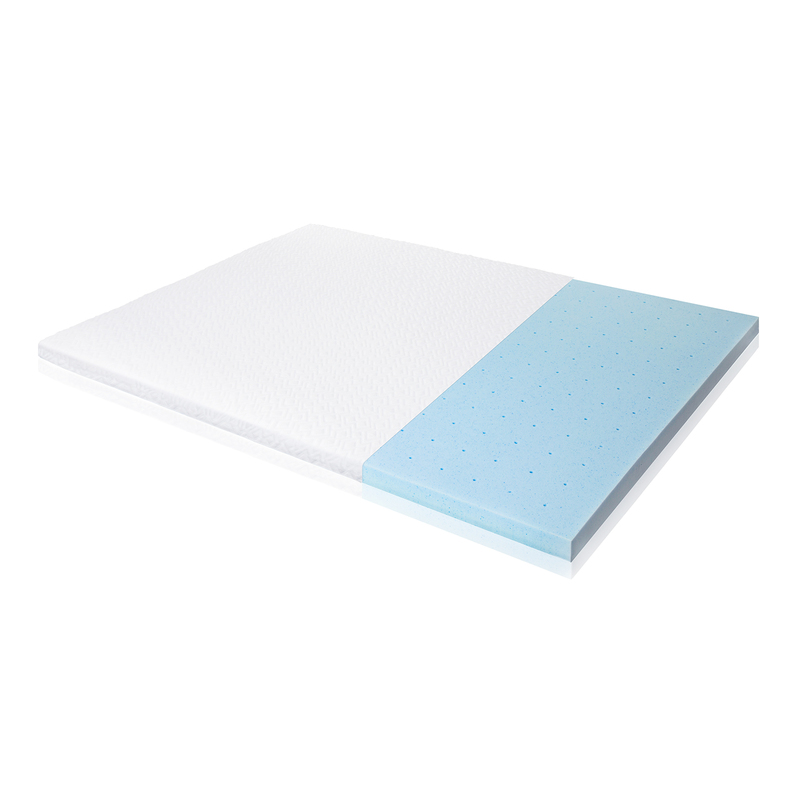 Featuring a 2.5″ comfort layer of gel-infused memory foam, this mattress topper offers superior cooling and provides relief from heat and sleeping pressures. 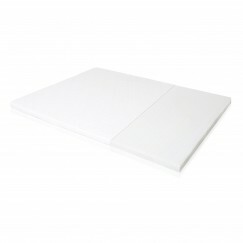 Utilizing a pin-core design, the gel memory foam is ventilated to increase air flow and regulate sleeping temperature. 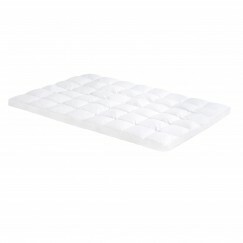 The soft, supportive consistency of the memory foam quickly conforms to the body, cushioning hips and shoulders. Protecting the topper is a super-soft, removable rayon from bamboo cover ensuring a cooler sleep temperature. 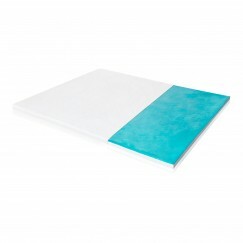 Categories: Gel Toppers, Mattress Toppers, Memory Foam Toppers.